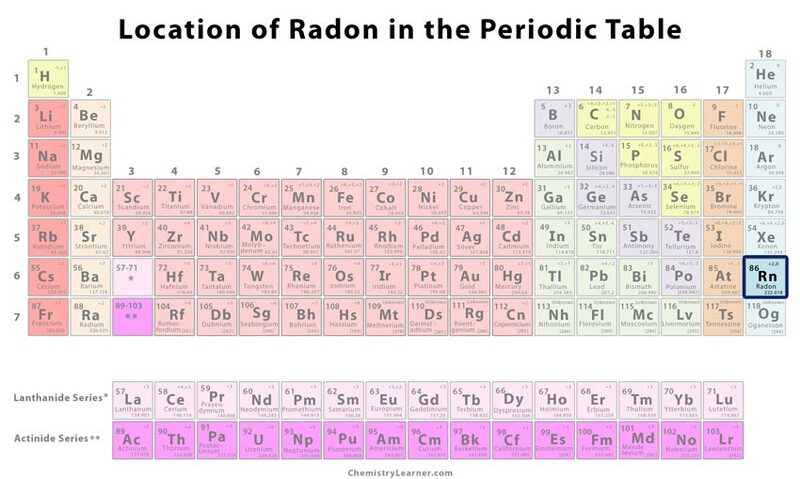 Radon (pronunciation: RAY-don) is an odorless, radioactive element that belongs to the family of noble gases and is represented by the chemical symbol Rn [1, 2]. It is colorless at room temperatures, but becomes phosphorescent when cooled below its freezing temperature and gradually turns into orange-red when the temperature is further lowered to the boiling point of liquid air . 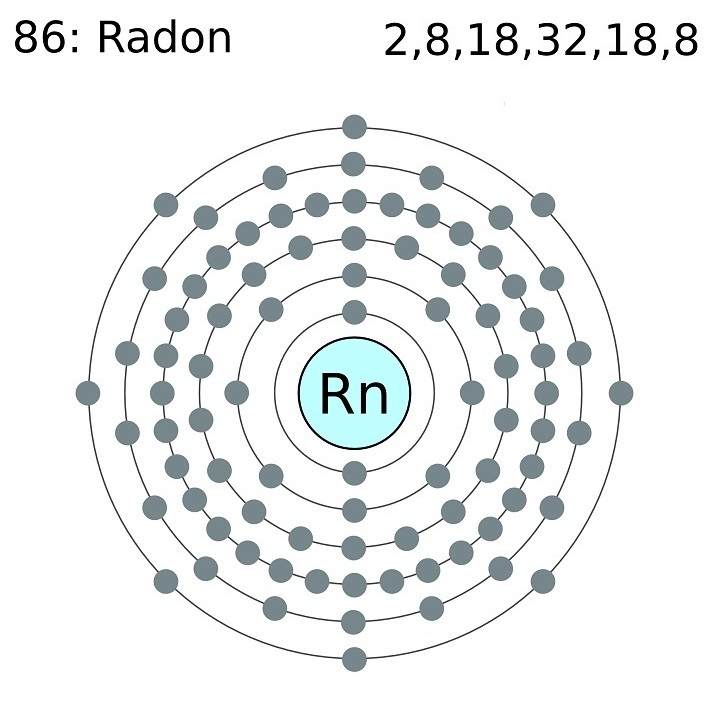 There are more than 35 radioactive isotopes of radon, ranging from 195Rn-229Rn, out of which 222Rn is the most stable with a half-life period of 3.823 days and forms 218Po through α-decay . It has four naturally occurring isotopes, including 218Rn, 219Rn, 220Rn, and 222Rn . 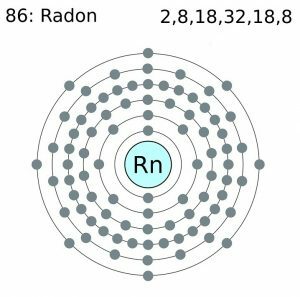 Radon is always found in nature because it is produced from the radioactive decomposition of radium-226 that is present in phosphate rocks, uranium ores, metamorphic rocks, and common rocks like limestone [1, 3]. 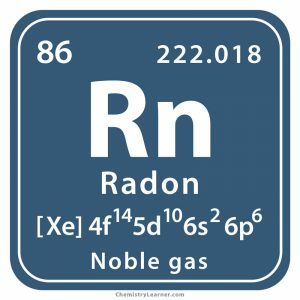 A small amount of radon also occurs in the atmosphere . Origin of its Name: It is named for the radioactive metallic element radium because radon was first identified during the radioactive decay of radium . Who discovered it: The German physicist Friedrich Ernst Dorn is known for its discovery . In 1899, Robert B. Owens and Ernest Rutherford found a radioactive gas emanating from thorium . In that same year, Marie and Pierre Curie detected a gas being released by radium . In 1900, Ernst Dorn discovered a gas while studying the decay chain of radium at the German city of Halle . We now know that the radioactive gas observed by the Curies and Ernst Dorn was Radon-222 while the gas detected by Rutherford was Radon-220 . In 1908, Robert Whytlaw-Gray and William Ramsay collected enough radon and determined the properties of radon at the University College, London . Radioactive decomposition of radon is useful for obtaining polonium . Radon emitted from a radium source can be used in cancer therapy . It was commonly used in hospitals for the treatment of tumors through implantation of minute tubes in which the gas was sealed [1, 7]. Today, it has been replaced by safer treatment options [1, 7]. Radon testing kits are used for analyzing indoor radon levels in places where large concentrations of radon gas can accumulate indoors . If the test result shows the level is 4 pCi/L or more, mitigation systems are used to reduce radon concentrations . Researchers use radon soil-concentration to map subsurface geological faults since concentrations generally increase over the faults . Groundwater radon concentrations are also analyzed for earthquake prediction . 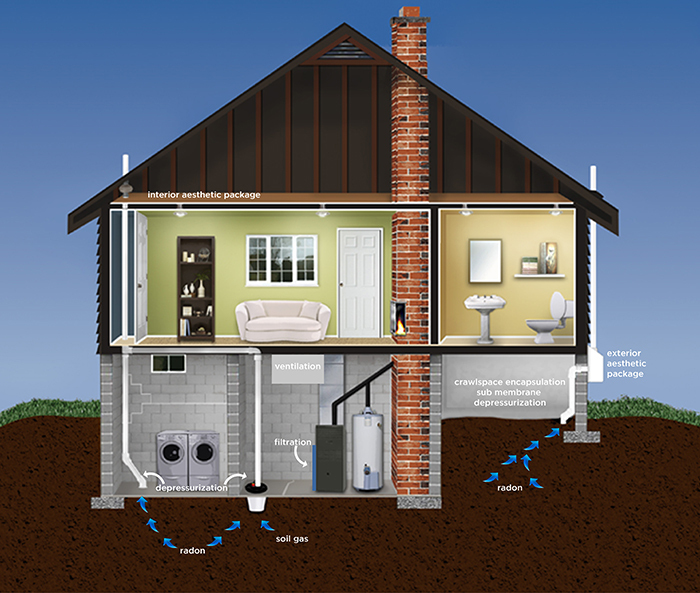 The decay products of radon have been considered as being carcinogenic . Since it can be inhaled, people exposed to high levels of radon are at risk of developing lung cancer . The chances of getting affected by lung cancer are much higher in smokers who are exposed to radon . It is thought to have had played a role in evolution and could be responsible for the background radiation of the Earth which can cause genetic modifications . It is the heaviest known chemically inactive gas that can form compounds with other substances only under extreme conditions [3, 4]. It is graphically represented by an image of the radiation hazard symbol with background images of houses indicating that the gas can accumulate in houses . The price of radon gas is about $4 per m .